This page shows some common building jobs that the calculator can be used for. Domestic dwelling with an allowance for non load bearing timber stud partitions on top of floor joists. 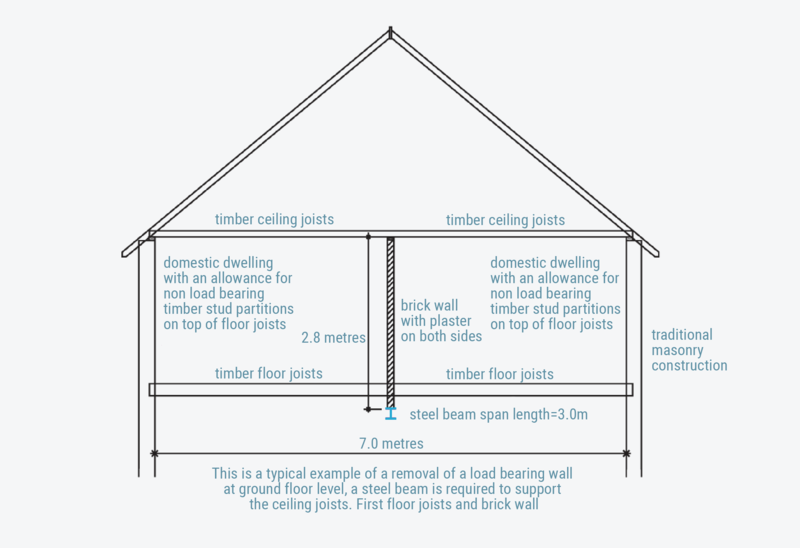 This is a typical example of a removal of a load bearing wall at ground floor level, a steel beam is required to support the first floor joists and non load bearing timber stud partitions above the proposed opening in the wall. A steel beam (178 x 102 x 19 UB S275) 3m long was selected. 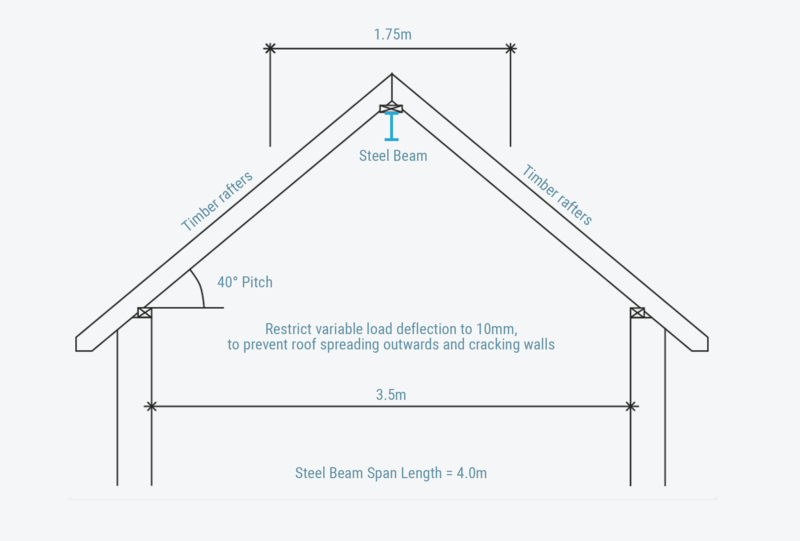 The calculator produced a report suitable for building regulation approval which shows the bending, shear and deflection for the beam are all within safe limits. This is a typical example of a removal of a load bearing wall at ground floor level, a steel beam is required to support the ceiling joists, non load bearing timber stud partitions, first floor joists and brick wall above the proposed opening in the wall. 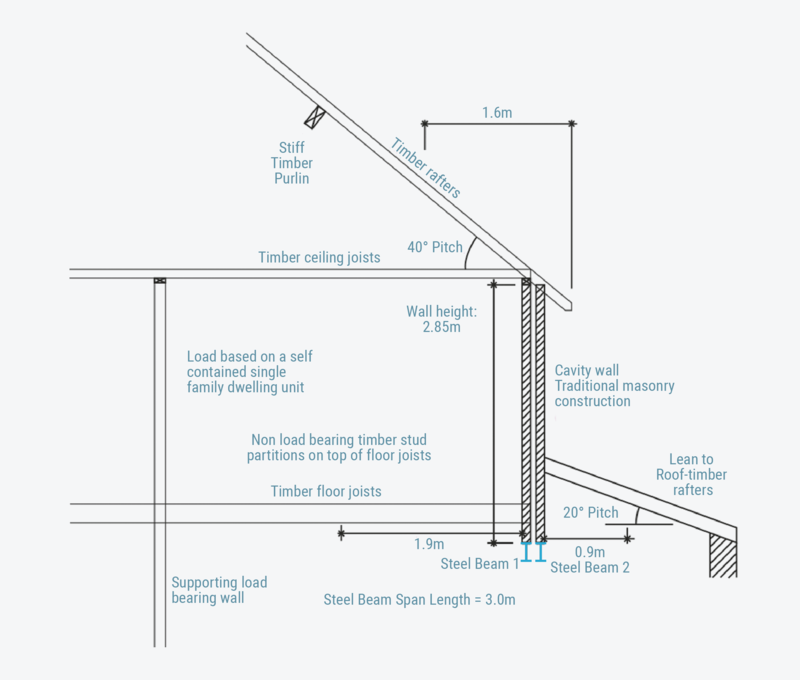 The calculator produced reports shows the bending, shear and deflection for the beam are all within safe limits for both beams. 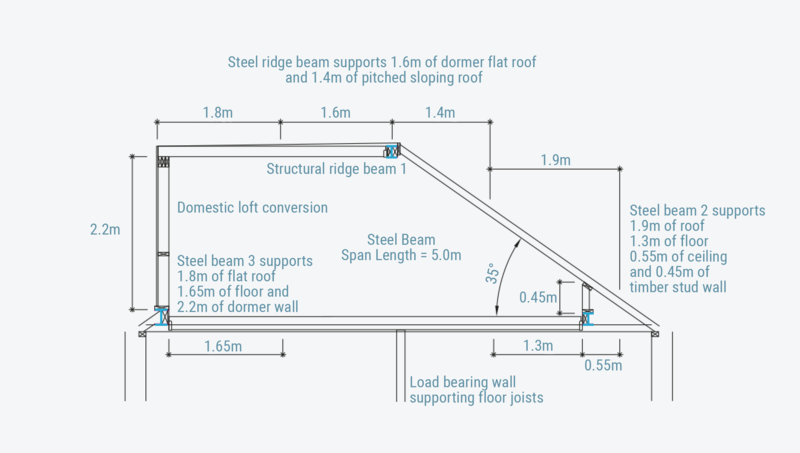 The calculator produced a report suitable for building regulation approval which shows the bending, shear and deflection for the beams are all within safe limits.